Our beautifully etched Black Signature Bowl - custom made for Tusk Trust as a personal presentation piece, etched with the logo, messages and signatures. 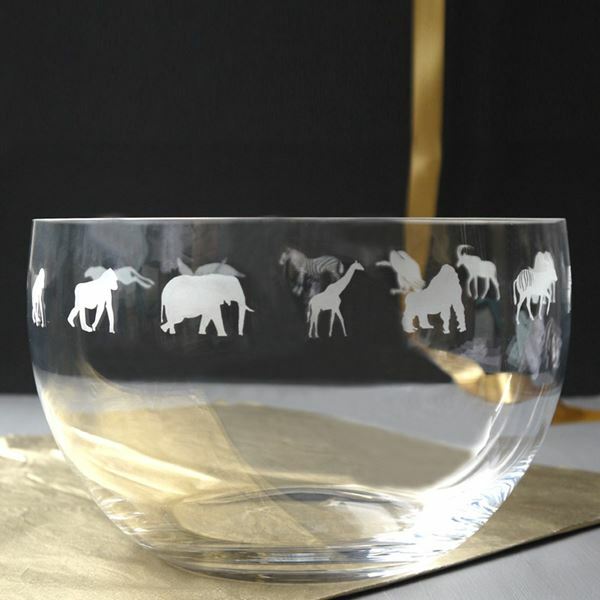 Working alongside the Tusk charity, Inkerman has created a bespoke classic crystal jug finished with etching of elephants scene encircling the base, measuring 1.5 litres. The jug can be personalised to offer a unique gift to your friend, family or colleague. A percentage of sales goes to Tusk Trust charity. 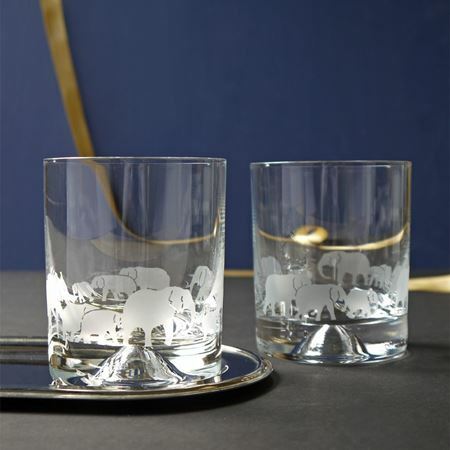 A pair of classic Inkerman Tumblers etched with the Tusk Elephant design around the glass. 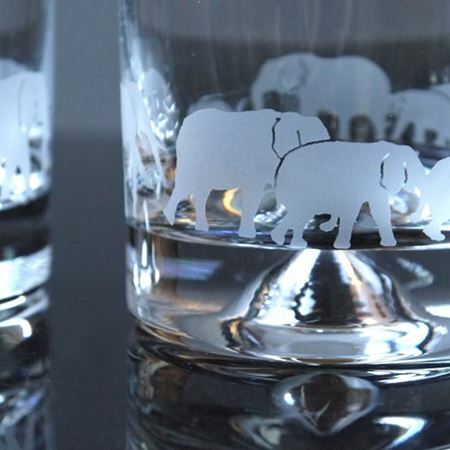 Give as a pair to your elephant loving friends and add their initials or use for a commemorative piece at a corporate event by adding a logo. Contact sales@inkerman.co.uk for details and costs of customising the glasses with logos or initials. A percentage of sales goes to Tusk Trust charity.